TO CONFIRM THE SIGN UP! PLEASE CHECK YOUR EMAIL TO CONFIRM THE SIGN UP! At National Bus Sales we are committed to providing an exceptional value for your transportation budget. With 30 years as the industry leader we continue to raise the standards in reconditioned buses. Quality. Safety. Peace of Mind. South Carolina's #1 Source for New & Used Buses. School Buses, Shuttles, Coach Buses and more. Contact us today! We Buy Buses! No Fleet is too Large or too Small. Click to See how much your bus is worth! Insider Deals Club. Join for Free & Receive Exclusive Discounts! South Carolina Bus Sales. At National Bus Sales we specialize in school bus, coach bus and shuttle bus sales including statewide South Carolina delivery. In need of a new or used bus in South Carolina? We've got you covered. At National Bus Sales, we offer a huge inventory of school buses, activity buses, shuttle buses, coach buses and vans for sale to help you get where you need to go. South Carolina is a state full of destinations, whether it is the beaches, plantations, gardens, national parks or historical military civil war sites, there are plenty of places to go. If you're lucky to live in this state or grace its presence from time to time, we'd like to provide you with a bus to get around. That is why we have a great selection of South Carolina buses for sale. If you can't find the perfect bus for sale in South Carolina, you can choose from our nationwide inventory of coach buses and passenger vehicles. We will send your favorite one directly to you, and then you can settle into your new bus. National Bus Sales also has rental buses and bus financing options to suit whatever your needs may be. Let us take care of you. 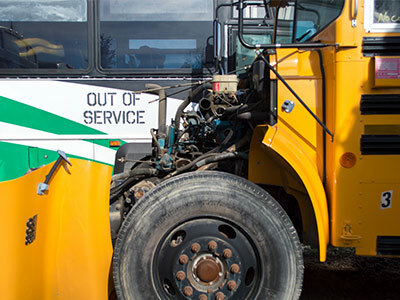 If your current coach bus or school bus needs an upgrade, we offer full bus reconditioning. Our nationwide refurbishing services make old buses look new again for a fraction of the cost of buying a new bus. 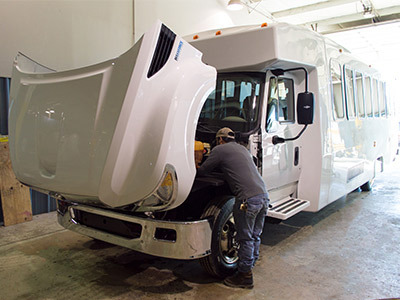 Reconditioning includes fresh paint, upgraded interior components, body work, mechanical repairs, and much more. Call us for a quote (800) 475-1439. National Bus Sales takes care of customers and their buses. From our bus financing to our ever-expanding bus selections, we are a one-stop shop for all of your transportation needs. Contact us today to learn more about our buses for sale in South Carolina so we can get you on the road. We Also have a large inventory of bus parts at unbeatable pricing we can ship directly to you. National Bus Sales is committed to providing you with superior service and maintenance. We offer full service fleet maintenance, engine and drive train replacement, paint and body repair and much more. Whether you schedule an appointment, or drop by our facility, our experienced mechanics and service staff are ready to serve your needs. "Due to their exceptional customer service, National Bus Sales now partners with us each year to calculate the cost for new contract bids. 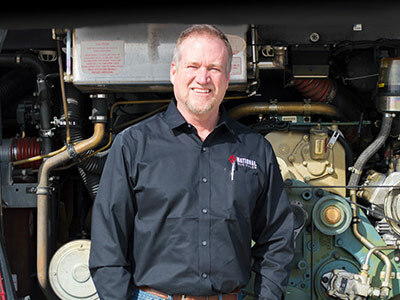 Once a contract is awarded, National Bus Sales supplies us with quality buses that meet both state specifications and the contract requirements." "I am very satisfied with both the bus and the service I received from National Bus Sales." Most people come to National Bus Sales looking for coach buses or school buses, which we have plenty of to purchase. If you want something different though, we still have you covered. We offer everything from new school buses, used school buses, new coach buses, used coach buses, new shuttle buses, used shuttle buses, activity buses, wheelchair lift buses, child care buses and church buses. Just tell us what you need, and we will find it for you. Just give us a call at (800) 475-1439, if you need any assistance. We also buy buses, so contact us to get an offer on your bus fleet of buses. Sign up for Insider Deals and never miss our exclusive email specials! With three decades of experience, and one of the largest inventories in the market, National Bus Sales leads South Carolina in providing quality new and pre-owned, late-model, low-mileage buses at the lowest price. Our bus leasing and rental department along with our state-of-the-art customization department are among the best in the country. National Bus Sales is proud to offer the highest quality new or used buses available. We sell new school buses, used school buses, new coach buses, used coach buses, new shuttles, used shuttles, activity buses, wheelchair lift buses, daycare buses, church buses, mobility/special needs vehicles and vans. We are a dealer for new school buses such as Trans Tech mini buses and Titan mini buses. We also have inventory of used bus models that are in like new condition or can be upfitted to your state specifications or company's needs. 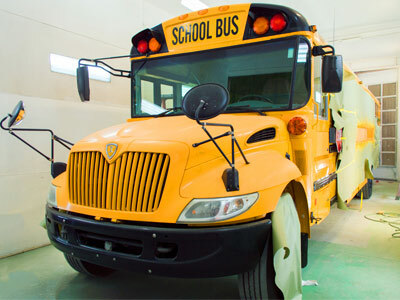 We have inventory of Blue Bird school buses, International school buses, Star Craft buses and Thomas buses. Many built on reliable Ford and Chevy chassis. If you are looking for activity buses, shuttle buses or coach buses, we have you covered! National Bus Sales is an authorized dealer for new Metro Link shuttle buses, Dodge Ram ProMaster vans and NB Ultra Coachliner SE's (which have coach bus features at activity bus pricing). Because of our excellent relationships with these manufacturers, we are able to offer competitive prices with an excellent customer service team to help you through the buying process. We also offer many options for activity and shuttle buses in like new condition or can be upfitted to your school or company's needs. Call us at 800-475-1439 to discuss your options! We carry MFSAB inventory by Collins, Microbird, MidBus, Trans Tech and Titan. We also carry front engine and rear engine activity buses by International, Blue Bird and Thomas along with coach buses by Caio, MCI, Prevost, Setra, Temsa, Van Hool and Volvo. View our inventory here to find the right bus for your needs, or call to see if we have buses available that are not yet online! We are proud to offer South Carolina bus sales in the following areas: Aiken, Anderson, Beaufort, Bluffton, Blythewood, Camden, Cayce, Charleston, Clemson, Columbia, Conway, Easley, Florence, Folly Beach, Fort Mill, Fountain Inn, Gaffney, Georgetown, Goose Creek, Greenville, Greenwood, Greer, Hanahan, Hartsville, Hilton Head Island, Irmo, Isle of Palms, Lancaster, Lexington, Mauldin, Moncks Corner, Mount Pleasant, Murrells Inlet, Myrtle Beach, North Augusta, North Charleston, North Myrtle Beach, Orangeburg, Pawleys Island, Rock Hill, Seneca, Simpsonville, Spartanburg, Sullivan's Island, Summerville, Sumter, Surfside Beach, Travelers Rest, Walterboro, West Columbia, and more. Copyright 2018 - National Bus Sales, Inc.